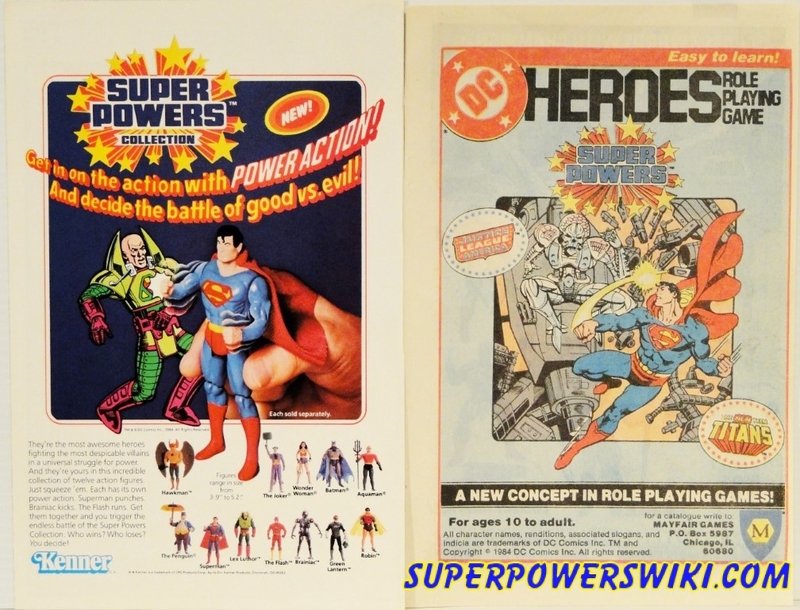 Several comics featured ads for both Super Powers figures and the DC Heroes Role Playing Game, which interestingly enough was released in several volumes but none of which had the Super Powers branding. The only thing that tied Super Powers to the DC Heroes Role Playing game was the advertisements themselves. DC Coming Comics, April ’85. 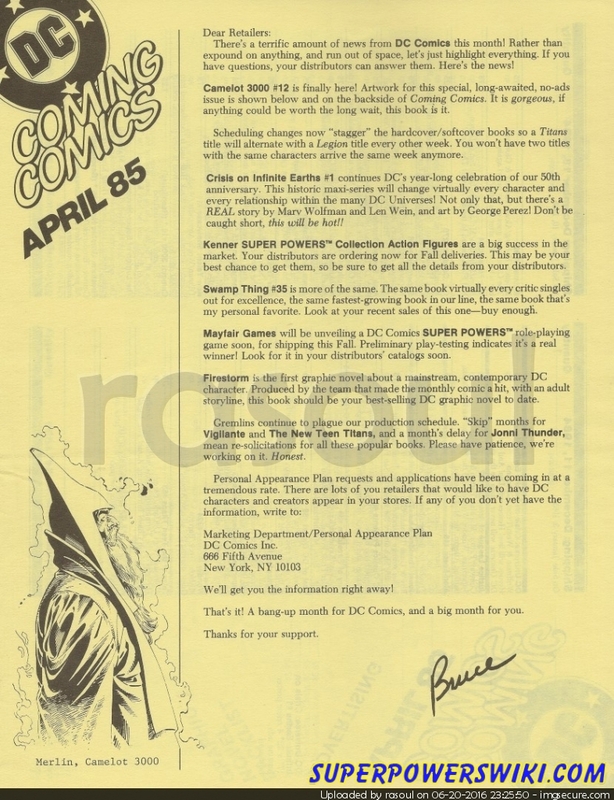 While this isn’t technically a comic page, this is an advertisement released by DC Comics about featured comics, one of the featured comics being the Super Powers mini-series. Toy Shield Protective Cases – Perfect Fit!